Here at ladic.info, we believe that building a custom home for your family should be easy, affordable, and fun. Just how affordable you ask? Of the 41 floor plans that we offer, 27 are priced below $150,000 (*plus the cost of land). Here are three family-friendly favorites that prove that building your dream home is completely within reach. The Providence is the perfect home for busy families with lots of storage spaces that keep clutter organized and out of sight, but within easy reach. The Providence is designed to help busy moms with easy access between the kitchen, laundry area, great room and garage. And of course, what dream home is complete without a dream walk-in closet in the Master Suite? The Princeton is a smart plan for young families that includes an open kitchen and dining room that makes it easy to keep your eye on little ones while making dinner. The secondary bedrooms are next to the Master Suite, ideal for a nursery or toddler’s room. Need to have a place for little ones to burn off some extra energy on a snow day? The lower level features a large family room and basement area that’s perfect for a play room. Downstairs spaces are flexible enough to accommodate busy families as kids get older. For families with teens, The Camden offers mom and dad a bit more privacy with secondary bedrooms separate from the sumptuous Master Suite, which includes a luxury walk-in closet, a soaking tub and separate shower, and more. This family-friendly design includes an open concept kitchen, great room, and breakfast nook with separate dining room – perfect for casual or formal entertaining. Of course, at ladic.info, the floor plan is just the beginning. With 27 floor plans priced under $150,000 and a nearly unlimited number of customization options, there’s almost nothing we won’t build. Visit one of our Model Home Centers where a New Home Consultant can help you find the perfect floor plan for your family. Questions? Ask Julie by Live Chat or call (866) 253-6807. How far do you travel to build these homes? Hi Joey, great question! We build in 5 states (Ohio, Michigan, Indiana, Pennsylvania and West Virginia). I’m sorry, Kim. Unfortunately, we do not build in Georgia. Would you build on land that we already own or do we have to build in a neighborhood that you own? Hi Breanna! We are an on-your-lot custom home builder which means we specialize in building homes on property our customers own. We do not have neighborhoods or developments that we require you to build in. Thank you for the question! Hi! Do you guys build in Northwest Indiana? Hi Lauren! Thanks for your question. Unfortunately we don’t build in Northwest Indiana. We build in the Eastern counties that border Ohio. For more information about our locations, please visit our Locations page on our web site. So if you build in Michigan is it anywhere in Michigan or a certain part of Michigan? I only seen 1 house for Michigan and Its actually located in Ohio. Hi Brit, Great question! We do build in six southern counties in Michigan. We don’t have a model center in Michigan, but you are welcome to stop by the model center closest to you in Bowling Green, Ohio. Do you guys build in lycoming county PA? Hi Adriann! Thanks for your question. Unfortunately we don’t build in Lycoming County PA. I am in new castle Delaware I have a 2.2ac land and I want to build a house under 150k you think is posible this days ? At this time, ladic.info does not build in the state of Delaware. We currently only build in Ohio and parts of Michigan, Indiana, West Virginia and Pennsylvania. Do you build in Monroe County, IN? Thank you for your question. Unfortunately we don’t build in Monroe County, IN. Hello Dena, very sorry for your loss. Unfortunately, we do not build in Iowa. We currently only build in Ohio and parts of Michigan, Indiana, West Virginia and Pennsylvania. Do you build in River Falls, WI? Unfortunately we don’t build in Wisconsin, just in Ohio and surrounding states. Potentially moving to Marshall, MI. This is in the southern part of Michigan. Is this close enough to Ohio that you would consider? Hi Doug, at this time we don’t build in Calhoun County. Do you build greentown pa? Do you build in Philadelphia Pa? Hi Tabari, at this time we don’t build in Philadelphia, PA.
Hi, I’m looking at land for about 30k in 48072 zip. Near St claire County michigan. Do you guys do houses in that area and could it be done (with cost of land) around 160k-170k. With a moderate basement? Hi Bruce, unfortunately at this time we do not build in St. Claire County. We currently build in Jackson, Washtenaw, Wayne, Hillsdale, Lenawee, and Monroe counties. Also, you can view our homes and prices here. There is a filter option at the top of the page that can help you search for a home in your price range. Hope that helps! How about Chester County Pennsylvania? Unfortunately, Susan, we don’t build in Chester county. Do you build in Evansville IN? Also would we have to provide the lot? Unfortunately Kelbe, we don’t build in Evansville IN. Currently we only build in parts of DeKalb and Steuben counties. Are some of the 27 floor plans under $150K available in both Jackson and Washtenaw counties in MI? What is the timeframe – roughly – from contractual agreement signing to build completion. Hi Bob, at this time we build south of 1-94 in Jackson and Washtenaw counties. As far as a timeline, if you signed your agreement today you would be projected to start in February. We guarantee 155 days from the time the foundation is waterproofed. So, approximately 9 months from now. I have a small seasonal cottage on a lake that I would like to have torn down so I can have a 4 season home built. The lot is narrow and I would like to incorporate my own ideas. Can you help design something to fit a long narrow lot? Hi Karen, any of our floorplans can be customized to fit your needs! Where is your cottage located? Do you build in Scioto County, OH? I see the neighboring counties of Jackson and Pike, but not Scioto on your list. Thank you! Hi Laura, unfortunately we don’t build in Scioto County. Hi Felicia, we do build in Avon Lake. You can visit our website for more information about building and floorplans. Build in Ghent KY? Im struggling finding builders in my area and your photos are awesome! Thanks Jayme! Unfortunately, we do not build in Kentucky at this time. Do you offer the house-plans for sale to builders outside your area? I live in Tennessee and am having a hard time finding affordable house-plans to build in our budget. Sorry Kevin, we don’t sell our floorplans. Do you build in Nicholas County, WV? Unfortunately, we do not. We build in Brooke, Hancock, Marshall, Ohio, Pleasants, Tyler, Wetzel, and Wood Counties, WV. Do you build in morrow county Ohio. That would be in the town of Mt. Gilead? We do build in Morrow County. Our Delaware Model Center would be the closest office to you. Do you currently build in Peebles, Ohio? My wife and I already have land and when I get out of the military in April we plan on having our home built. Unfortunately, we do not build in Adams County at this time. Hi Cheyanne, the photo is a Princeton Craftsman. The starting price depends on what county you would like to build in, then whatever customizations you choose would be added to that price. I am not certain, but this house probably has some customizations. Sorry Tyler, at this time we do not build in Butler and Hamilton counties. Do the homes include basements? I have noticed that most floor plans do not say anything about basements. Yes, all of our floorplans include a full basement. 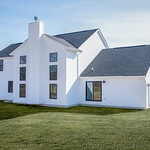 Do you build in Lebanon county pa? Hi Shelby! Unfortunately, we do not build in Lebanon County. We currently build in the western counties near the Ohio border and around Pittsburgh. Sorry! Hi, I’m sure I know the answer unless things have changed, but a build in Saginaw County? Unfortunately, at this time we do not build that far north. Sorry! Hello, We are looking to build in Lorain county. Do you guys build in any of the following Amherst Ohio, Vermilion Ohio, Wellington Ohio, Grafton Ohio, or Lagrange Ohio. Hi Jessica! We do build in all of Lorain County. Do these 150k homes have basements? If so, are they guaranteed waterproof? Thanks. Hi Kal, all of our floorplans include full basements and Tuff-N-Dri 30-year waterproofing. Do you build in Montgomery County KY? Sorry, Connie! We do not build in Kentucky at this time. Hello, do you build in Akron, OH? Hi Nichol! We do build in Akron. Our Akron-Medina or Portage model home centers would be closest to you. Hello! I see you build in some parts of Michigan. Does that include the West Michigan area, more specifically, Allegan county? Thank you. Hi Kerry! Unfortunately, we do not build in western Michigan at this time. What does the 150 not include? I seen it has basement and that’s included in price ? Hi Steve, you can find a list of our included features here. The included features depend whether the floorplan is in our Lifestyle or Signature collections. Do you build in Eufaula, AL? Sorry, Sharon, we do not build in Alabama. We build in Ohio, Michigan, Indiana, Pennsylvania and West Virginia. You should come to texas!! I need you!!! Do you build a house in Logan, Ohio? We do build in Logan. Our nearest model center is probably Newark. Do you have any plans under $100k for single-person living? Hi Cynthia! Unfortunately, we don’t have any plans under $100,000. Our smaller floorplans, however, are the Bristol, Bennington II, and Bradford. The base price depends on your location. Please visit our floorplans page for more information and feel free to contact our online sales team with further questions. Thanks! Hello, I see you build in Wayne County Michigan. Specifically, will you build in Detroit? I want to tear down my current home and the house next door and rebuild across both lots. I’m sorry, Kenya. Unfortunately, we do not build in Detroit. We build in a portion of Wayne County, but not in Detroit. What does (*plus the cost of land) entail? Is there a lot allowance included in the listed home estimates provided for cases where we are looking to purchase a lot in addition to the home build? Hi, Rebecca! We are an on-your-lot custom home builder and do not own neighborhoods for you to build in. Our base pricing includes the foundation, which is a full basement, and the completed home. We do not include anything outside the home such as land, land improvements, driveways, sidewalks and utility installation or tap-ins. Sorry, Rosetta! We do not build in Texas. Hello, do you build in Shelby Twp, MI? Hi Lauren, we do build in Macomb County! Are prices including all building and all costs associated? Do you build in Delaware county in Indiana? It boarders jay county which boarder Ohio. Our base pricing includes the foundation, which is a full basement, and the completed home. We do not include anything outside the home such as land, land improvements, driveways, sidewalks and utility installation or tap-ins. Unfortunately, we do not build in Delaware County. At this time We only build in Steuben County and Dekalb County. Are you still only building in the southern part of MI or have you expanded farther north, Midland county? We have expanded and now build in Ingham, Jackson, Lenawee, Livingston, Macomb, Monroe, Oakland, Shiawassee, and Washtenaw counties. We also build in parts of Genessee, Hillsdale, Lapeer, and Wayne counties. Hi Mary! We could have one of our New Home Consultants contact you via email or you could live chat with our Online Sales Consultants on our website. You could also visit our Greensburg location. We are looking to build in Cortland, Ohio. Do you build in Cortland? Are you homes built for $150,000? Hi Jennifer! We do build in Cortland, Ohio. We do have a few homes under $150,000. You can find our floorplans on our website and use the filter to find homes under $150,000. Please keep in mind the price you see is the classic floorplan and does not include any upgrades. Is it possible to buy just the floor plans, if you live out of state? Sorry, Tasha. We do not sell our floorplans at this time. 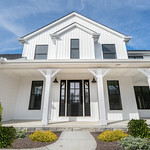 Hi there, do you build in Glen Mills, PA or Downingtown, PA? Also, about how long would it take to build the Camden? Unfortuently we have water damage in our apartment that is effecting our health, and we need to move out ASAP. I am sorry to hear about your situation, Amber. Unfortunately, we do not build in Glen Mills or Downingtown. The farthest East we build is Cambria County. Do u build in Delaware county pa? Unfortunately, we do not. The farthest East we go is Clearfield County. Sorry! Hello! Would you be interested in building a house in North Georgia? Sorry! At this time we only build in Ohio, Pensylvania, West Virginia, Michigan, and Indiana. Unfortunately, we do not. We build in Ohio, Pensylvania, West Virginia, Michigan, and Indiana. What counties in Ohio do you build? Hello Nicholas! We build in most counties in Ohio except Southwest Ohio. If you look at a floorplan you are interested in, there is a drop-down menu with the counties we build in and the base prices. Hope that helps! You don’t build in very many county in the states you say you build in why not just tell people the truth you get people wanting you to build a house and you cant! I am sorry we do not build in your area, Linda. At this time we do not have the resources to service all areas. We do have the counties we service listed on our website. Do you build in Columbus, Ohio? Hi Kendra! We do build in Columbus. Hi Scott! The price will depend on your location. Where are you planning to build? Hello! Are these floorplans still available to build under 150k? When I use the filter for plans 100k-150k, none of these show up. We live in Monroe, Michigan, and I adore the Princeton Craftsman plan. Would love to receive more info! Hi Jessica! Unfortunately, this blog is more than 5 years old and our prices have gone up since then. For Monroe County, the Princeton starts at $167,200 for the Classic elevation. I could have our online sales team send you more information based on your area if you are interested. Hello, do you guys build in Pittsburgh? We do! You can find more information about our Pittsburgh Model Center here. Hello, I had a question in regards to how the financing works if you do not already have your own land. I found a plot that is for sale, and I understand the cost of the house is just for the house specifically. Not for preparing the land or anything. Hi Jamie! Our sales team would be glad to help you with your financing question and put you in contact with one of our loan officers at Home Savings. Are you currently working with one of our New Home Consultants at one of our offices? I wish you would expand to make home in Northwest Indiana! I would sure be your first buyer at those prices. I am sorry we don’t, Cynthia. Maybe someday! Can someone who lives outside your coverage area purchase the plans for one of these houses and build it in their local area? Also, we really want a basement. Can plans be adjusted to add a basement? Sorry, Cassidy. We do not sell our floorplans. But our homes do come with a full basement if you do move into our building area. When you say $150k are you talking about a turn-key price? Hi Scott! The price depends on the county you are building in. $150k would be the base price. Our base pricing includes the foundation, which is a full basement and the completed home. We do not include anything outside the home such as land improvements, driveways, sidewalks, and utility installation or tap-ins. Hello Dear, First stage of looking for a builder and I hope you guys will be the last. I bought a lot and need to know what would it cost me per finished square foot to build a moderate house, very simple with an unfinished basement and a 2 car detached garage in the back. No drive way necessary because there is one already there. Also, would you need the plans or do I have to get them from an Architect? Do you get the licenses from the county or I need to get them? One more thing, My brother is considering building another house next to my lot, he owns the lot next to me as well, would it be beneficial to build them both at the same time? Cost wise? The lot is in Hamilton OH. Hi Freddy! Unfortunately, we do not build in Hamilton, OH. Are you building any communities in FL? Hi Gladys! Unfortunately, we do not build in Florida. We build in Ohio, Michigan, Pennsylvania, and West Virginia. Unfortunately, we do not build in Kentucky. Hi, I was just wondering what is included in the base home of the Princeton II. For our area, base price shows $160,100. And if you work with banks that lump land and house costs together? What are the “extras” that you can choose from. My husband and I are looking for a house, currently, but are open to exploring home construction. Hi Casandra! You can find a list of our included features here. 1. Do you build in Saint Joseph, MI? 2. Do you only build your own plans, or if I have a plan of my own (a home I have previously had built), would you be open to building that for me too? Hi Alan! Unfortunately, we do not build in Saint Joseph, MI. We build in Southeast Michigan. We build our own plans, but we could take a look at what you have and customize a floorplan to fit your wants and needs. Do you build in Plainfield, Illinois? I’m sorry, we don’t build in the state of Illinois. Very interested in the Ranch Style, both classic and traditional elevation. I’m from PA myself and my question is, Do you build in all of PA? I’m looking to build near my home town in Adams County. Hi Chris! Unfortunately, we do not build in Adams County. We build in Western Pennsylvania near Pittsburgh.